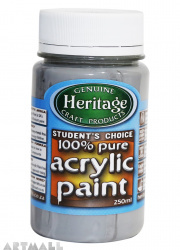 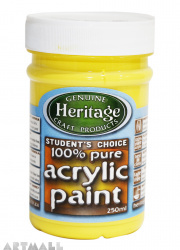 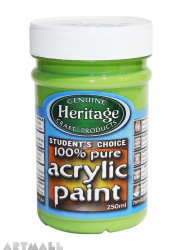 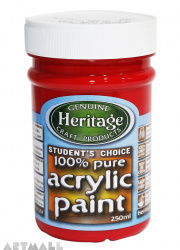 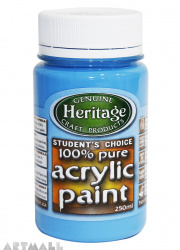 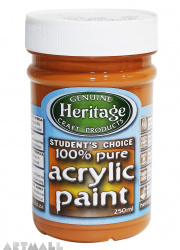 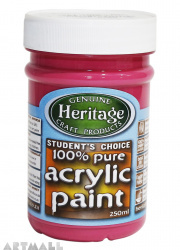 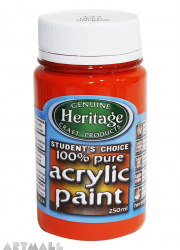 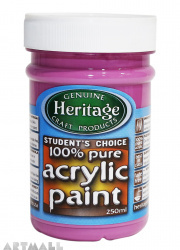 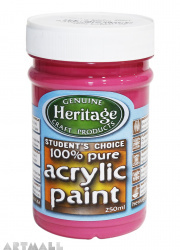 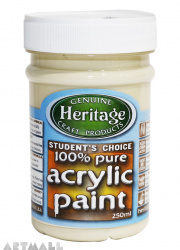 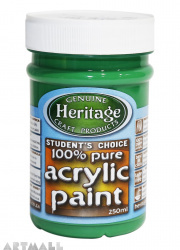 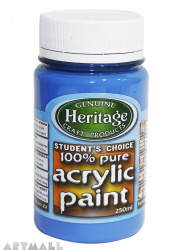 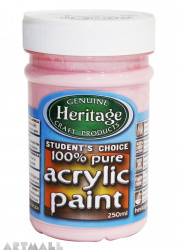 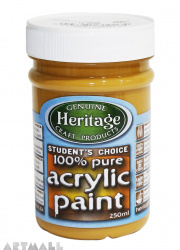 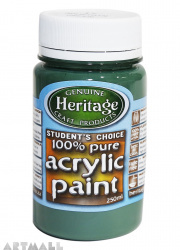 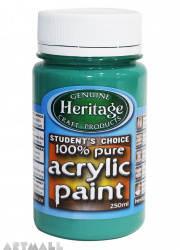 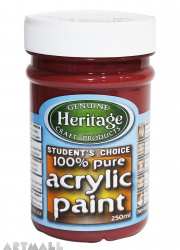 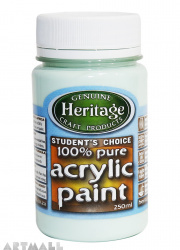 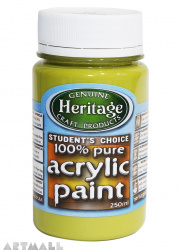 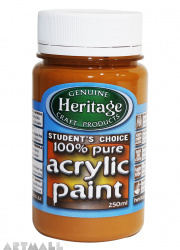 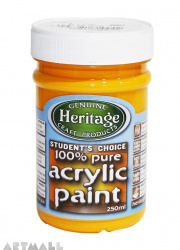 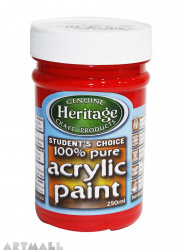 Acrylic paints Heritage "Student's Acrylic" 250ml presented in the online store ARTMALL rich color palette. 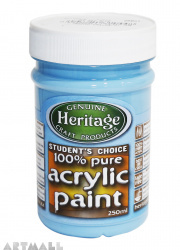 On ARTMALL directory page you can choose and buy the right paint color Heritage. 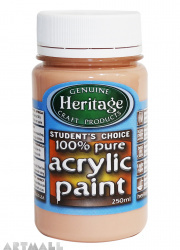 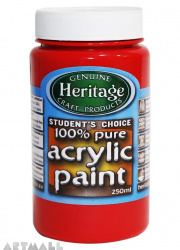 Acrylic paints "Student's Acrylic" harmless to human health and can be used in the long process of staining. 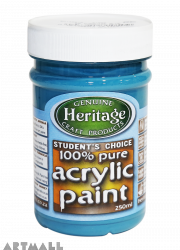 Paints Heritage brand materials are easy to apply and dries quickly. 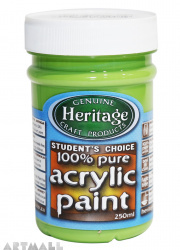 Non- toxic, lead and heavy - metals free. 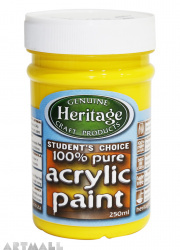 Please supervise young children.